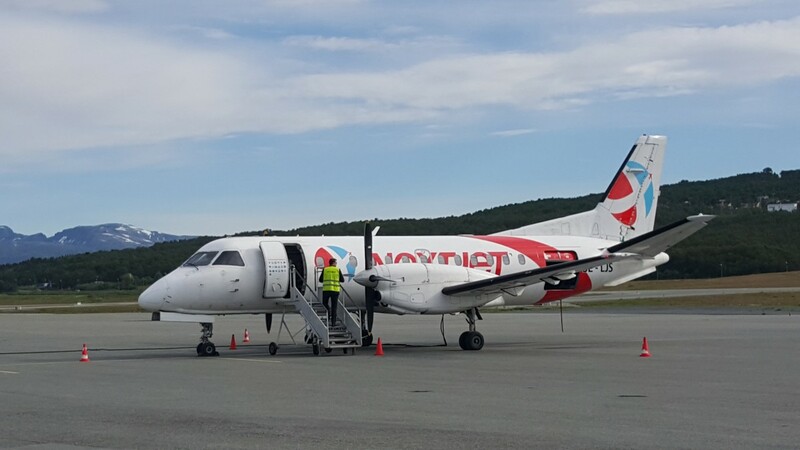 Operator of the only cross-border flights in Northern Scandinavia got millions of euros in public support from regional authorities. Now, the route could come to an end. NextJet’s operating license is revoked due to the company’s financial situation, the Swedish Transport Agency informs. The airliner can, however, continue to fly on a time-limited operating license valid until November 17th. It was SVT Västernorrland that first reported about the decision. In August, the airliner’s accountant said he could no longer be convinced about NextJet’s possibility to survive economically. «There are significant uncertainties that can lead to significant doubts about the company’s ability to continue its business,» the accountant wrote in the company’s annual report. Operating Arctic Airlink, a route linking Luleå in Sweden with Oulu in Finland and Tromsø, has not been a big commercial success. When the route started in 2015, the County of Troms granted 25 million Norwegian kroner (€2,7 million) in public support. Same amount were granted by regional authorities in Sweden and Finland as well. The plane, though, has been flying with half empty seats. Nextjet is Sweden’s largest regional airline and reported a loss of 18 million Swedish kroner (€1,88 million) for 2016. In addition to the route linking Tromsø, Luleå and Oulu, the airliner operates several smaller airports in northern Sweden, including Gällivare, Hemavan, Arvidsjàur, Lycksele and Vilhelmina. Without new fresh cash and boost in income, NextJet could be grounded from mid-November.